The 86th Session of the Texas Legislature is less than a month away and more than 700 bills have already been filed. It’s impossible to tell this early in the process which bills will move and which won’t. But we’ve looked at every bill filed so far and picked out a few favorites. So with the caveat that everything could (will) change in a few weeks’ time, here are some environmental bills we like. SB 118 (West)/HB 360 (Murphy) – This bill continues for ten years the Property Redevelopment and Tax Abatement Act. Also known as “Chapter 312” (of the Tax Code), the act has incentivized billions of dollars in investment in wind energy across Texas. The act is also used by the oil and gas industry, and we have heard rumors that some lawmakers might try to continue the act for the fossil fuel industry but not the renewable industry. We would oppose such a move. HB 100 (Eric Johnson) – This bill would require state agencies to plan for projected changes in weather, water availability, and climate variability. Affected agencies would include the Department of Agriculture, Texas Commission on Environmental Quality, General Land Office, Texas Department of Housing and Community Affairs, Texas Department of Insurance, Parks and Wildlife Department, Department of Public Safety, Public Utility Commission of Texas, office of the comptroller, Texas A&M Forest Service, and Texas Water Development Board. Texas is the most vulnerable state in the nation to climate change. Since 1980, 95 of the 238 $1 billion disasters in the nation have occurred in Texas. From the Gulf Coast’s vulnerability to hurricanes, to Central Texas’ wildfires, to North Texas’ water shortages, Texas needs action on climate change. 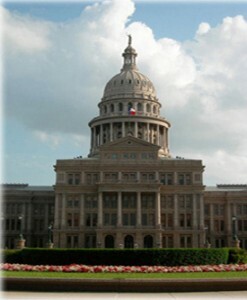 HB 245 (Farrar) – This bill would require online posting of environmental permit applications. This would be relatively easy to implement and an important step forward in transparency in the permitting process, which can be difficult for community members to follow. HB 274 (Sarah Davis) – Sarah Davis of Houston filed this bill to create the Disaster Reinvestment and Infrastructure Planning Revolving Fund, which would be seeded with $15 million from the Rainy Day Fund. The fund would be used to rebuild damaged infrastructure or build new infrastructure for mitigation purposes after a disaster. Both areas that do and do not quality for FEMA funding would be eligible to apply for funding. Require notice to the Railroad Commission of fires, leaks, spills, or breaks at wells. Create an emergency alert system to notify the public about well blowouts. Prevent drilling of new wells adjacent to sites where well blowouts have occurred and resulted in violations or ongoing investigations. SB 208 (Campbell) – This bill is the first of what we expect to be several bills filed to address the impacts of the concrete industry on communities. The bill would increase the setback requirement for concrete crushers and certain concrete batch plants from 440 yards to 880 yards. We think that increasing this setback is a great idea, as 440 yards is not enough of a buffer from the noise, dust, and other pollution created by concrete plants. We think it’s such a good idea, in fact, that we would expand its applicability to all concrete plants. This sampling of bills covers most of our major areas of interest in environmental policy: renewable energy, climate, fossil fuels, air pollution, and permitting. But we are only scratching the surface so far; in the coming weeks and months, many more bills will be filed on these and other important issues. The final bill tally in the 86th legislature may be ten times the number of bills filed so far. Stay tuned to Public Citizen to learn about how our priorities evolve throughout the session.